Love the heart on the inside sole of these shoes. 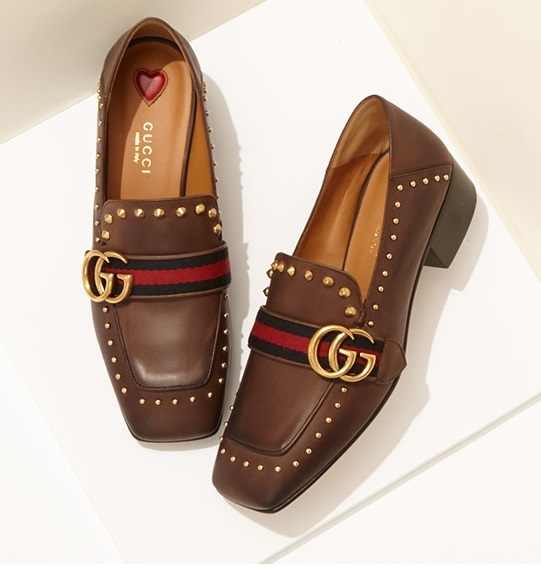 Shop for Gucci shoes at Saks Fifth Avenue. Would you like to wear these shoes while carrying the Gucci Sylivie Ribboned Leather Shoulder Bag? Actually, I would probably choose a different handbag for these shoes. The good news is that both Gucci and Saks Fifth Avenue has plenty of other bags and shoes to review.